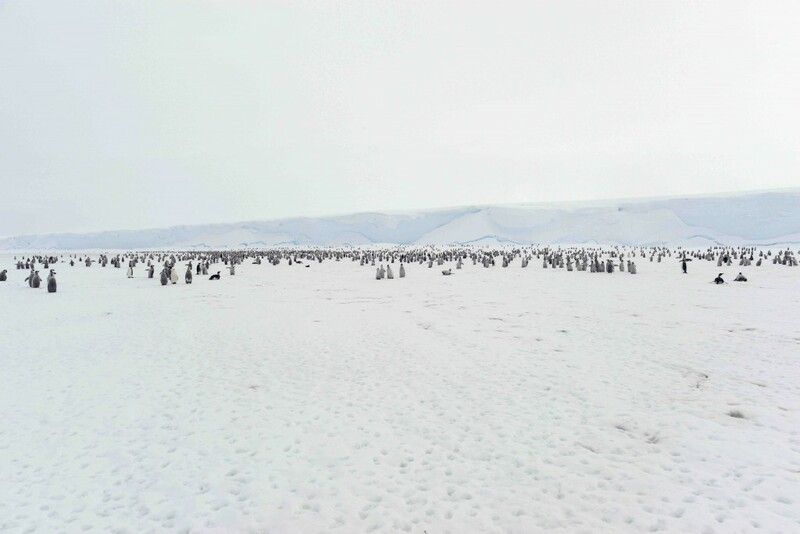 Online view of the Polar Region: a penguin colony in Antarctica. Today, thanks to existing communication tools, teaching geography can be very interactive. Using new approaches, geography teachers can bring far-away places like the Polar Regions creatively into the classroom. Alexandra Hamilton, a student at Oxford Brookes University, is passionate about geography and education. She has recently presented her dissertation for the BSc Honours Degree in Geography and Education Studies. Her dissertation focuses on the educational program that surrounds the use of Skype as a tool for geography teachers. She explains why she feels geography education is highly important and shares with us the conclusions of her dissertation. Can you tell us briefly how you chose to study Geography and Education Studies and what you liked most about this field of study? For as long as I can remember I have always loved school. My dream when I was young was to become a teacher, which is probably where my interest in education started. I was always very critical of my teachers and the schools I attended, and I was very aware that not all children learn the same way. So, it was almost a natural progression that I studied Education Studies at university level. The Geography half of my degree stems from my love of maps and charts. I have always loved learning about different and new places, people, and cultures, so I decided to continue studying Geography at university. I was surprised by how well these two subjects fit together, and I think that was my favorite part about studying them together. There are a lot of issues that are discussed in Geography that often have education as a main solution. Likewise, there are lots of discussions surrounding the importance of Geography in primary and secondary education, as well as how it should be taught. Most importantly though, when I look at what is happening in the world today, not only do I think increased access to education for everybody could help solve some of the world’s greatest problems, I think Geography is one of the more specific subjects which could help bring more understanding, and ultimately peace, to our world. Your dissertation focuses on the use of Skype video conferences in geography education for young children. How did you choose this subject? Can you tell us more about it? I became aware of the project through a family friend. She was volunteering with the International Polar Foundation (IPF) and conducting these Skype sessions with primary school aged children to teach them about the polar regions. I became interested in how the Skype sessions worked, and if and to what extent they were successful. My focus was less on the use of Skype and more on the educational program that surrounded the use of Skype as a tool. See, geography aims to teach young people about other places, people and cultures – but it has always been confined to a classroom and occasional field trips. So, over time educators have found new ways to bring the rest of the world into the classroom, for example artifacts, pictures, videos, and now videoconferencing. However, these tools cannot be successful alone in teaching the geography. So that is why I was most interested in how the Skype videoconferencing was being used to enhance a pre-existing geography curriculum. What are the main conclusions of your dissertation? I think the most important conclusion that arose from my dissertation research was that it was the people involved who made the Skype program successful. Both the teacher in the classroom and the volunteer that conducted the Skype session had the same aims. They both wanted to encourage a sense of global citizenship within the students – something which I believe many geography educators aim to achieve. And because of this, the geography lesson which involved the videoconference was much bigger than just the Skype. Students engaged with material before the Skype, were able to conduct some of their own research, and also had follow-up activities to complete after the Skype session. The students were encouraged to make a personal connection to the place they were learning about, and the use of Skype was able to bring that place alive in the classroom for them. But it was the teachers and the volunteer who had the passion and enthusiasm and who took the extra time to make the program effective. Do you have any advice for teachers who would like to use video conferences in their classrooms? I think my first piece of advice would be to make sure that your aims are clear before you start to organize the video conference. What is it that you want the students to take away from the experience? Is it just a fact-finding activity or something to encourage deeper understanding and possibly a sense of responsibility? And then, it is important that those aims are shared with the person who will be conducting the Skype session, that way the most can be made of the time. And of course, like I said above, the Skype cannot be the only part of the lesson, it must be part of a larger educational program which is designed to meet the aims set out by the teacher. In September I will be returning to the UK to start my Masters degree in Geospatial Analysis at University College London. I will be there for about a year, and then I will go wherever my adventure takes me next. Congratulations to Alexandra for her excellent work on her dissertation and very interesting insight on geography education. We wish her all the best on her Masters degree and future adventures.